Local landmarks have made their way onto merchandise you can wear and display. Keep for yourself or share the love — all of these locally branded goods make excellent gifts. 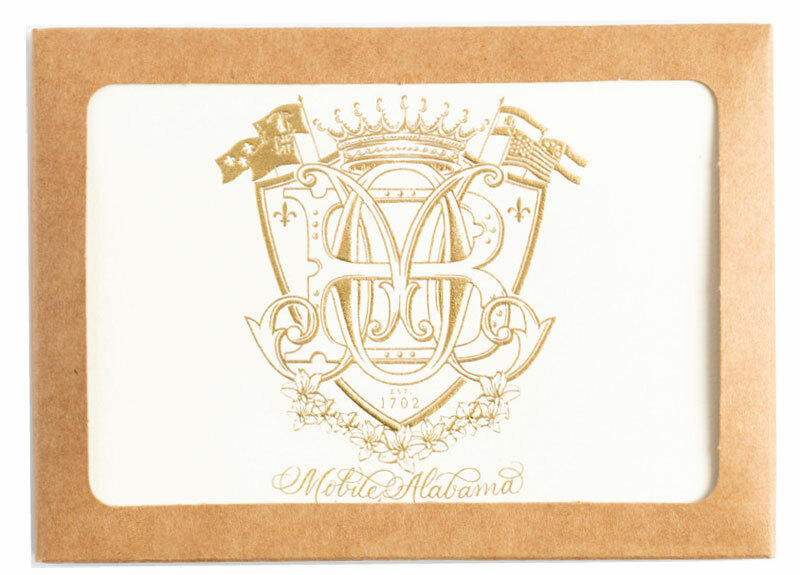 A crest with fabulous details about Mobile makes a statement on stationery. 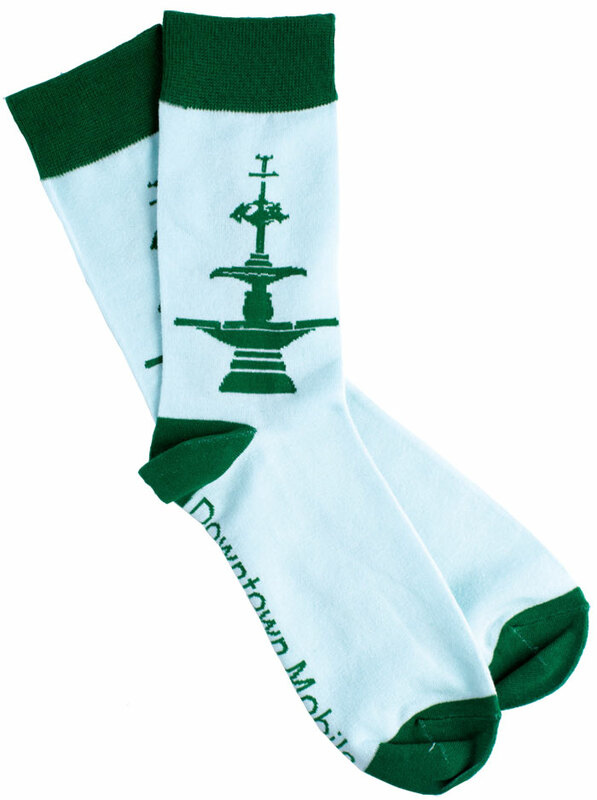 The Bienville fountain is an unexpected and fun surprise on the sides of these blue and green socks. 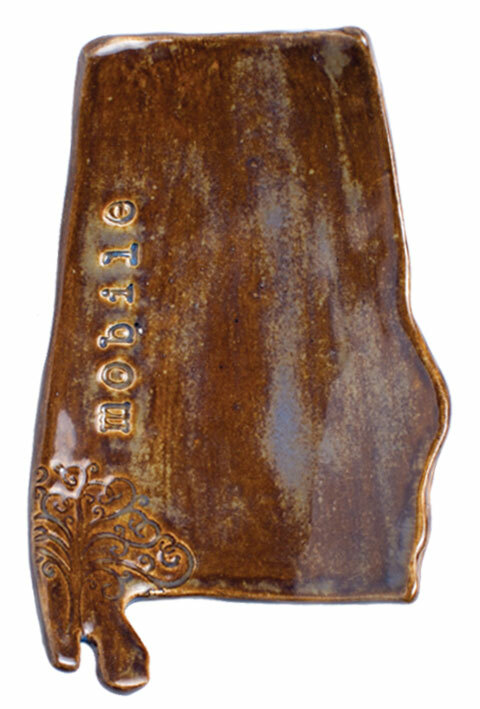 Shaped like our cherished state with our beloved city’s name engraved, this ceramic dish can be displayed or hold commodities. 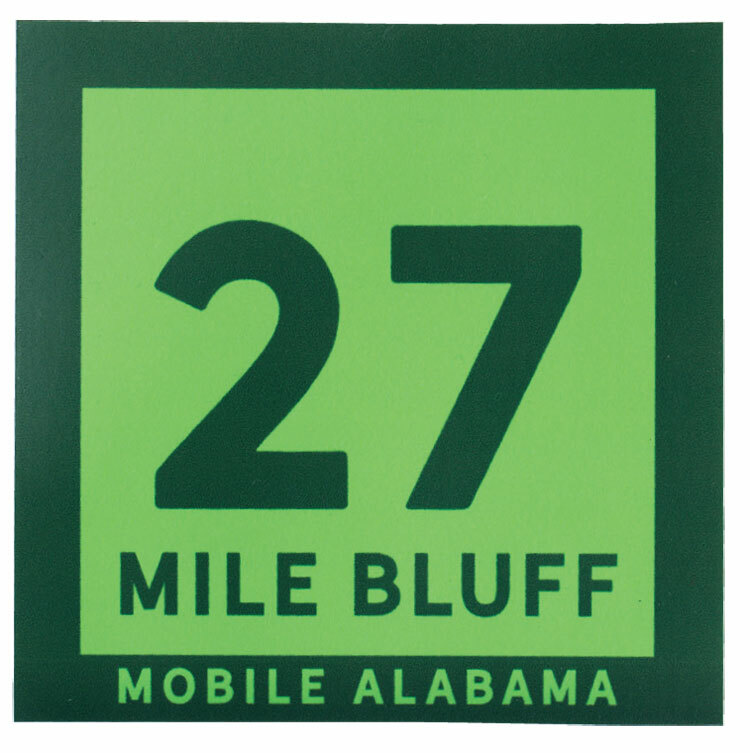 Remember the old Mobile site with this mile marker sticker. Embellish your gear with local landmark pins. 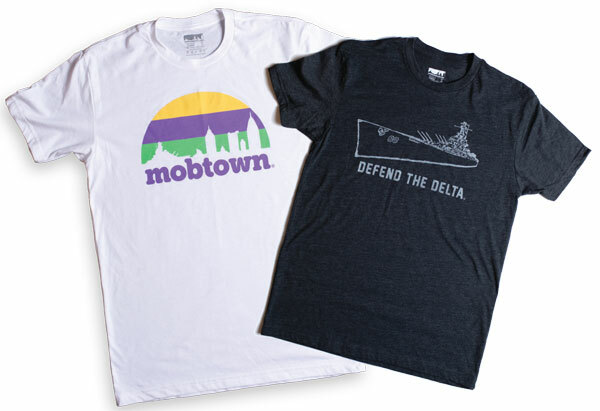 You can wear the silhouette of the Downtown skyline or the USS Alabama, proudly displayed against various backgrounds. 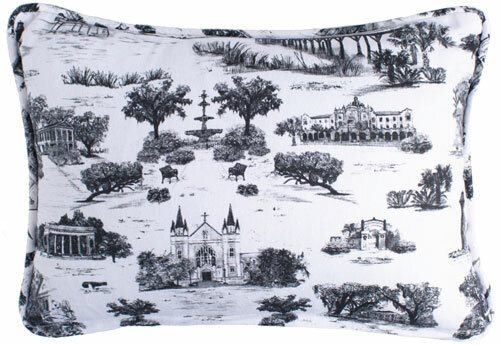 Pictures of Mobile landmarks create a toile print that brings local beauty and character to home decor. 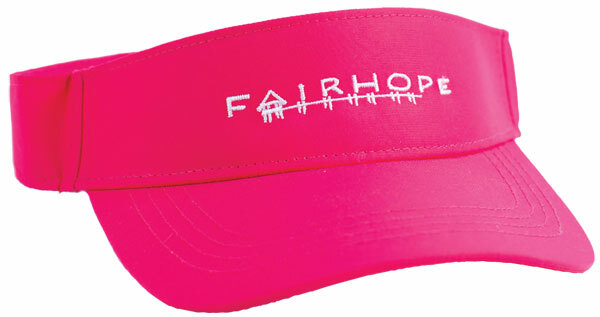 The distinctive font of The Fairhope Store appears on bright shades for spring and summer. 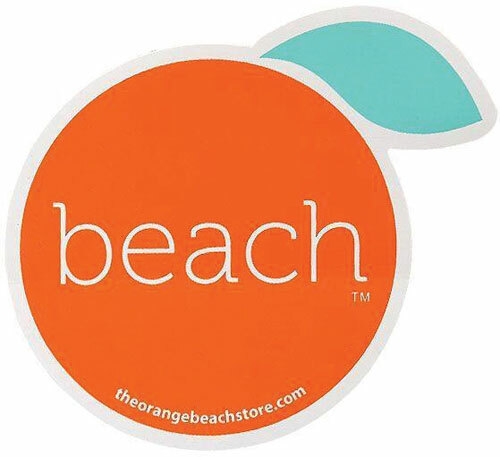 Represent your favorite sandy spot with a statement sticker.